Ford Motor Company has made billions of dollars of profit by providing a pickup truck for every conceivable family, recreational and commercial use, with the broadest possible spectrum of models. 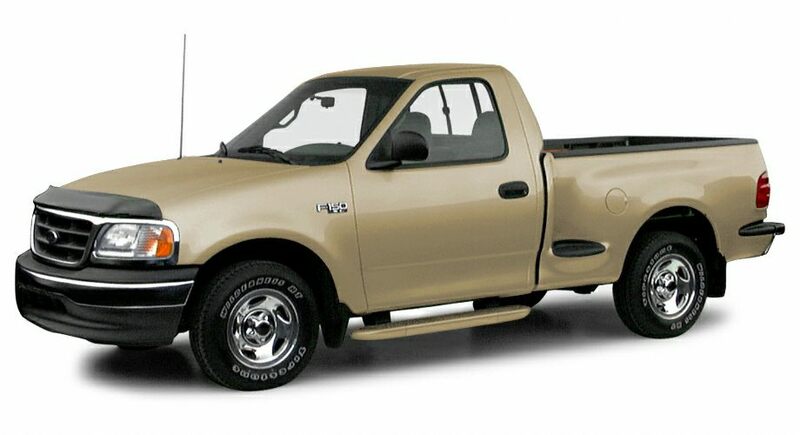 Over the years, Ford has continued to lead the pack in overall design, with more and more passenger car features folded into the truck mix every year until it's hard to distinguish between the two from the inside. For 2000, Ford carries on the tradition. Changes include a more comfortable flip-up 40/60 rear seat and an improved 18-degree rear seating angle in the F-150 SuperCab. A new overhead console and left- and right-side visor vanity mirrors are standard on XLT and Lariat F-150 pickups, optional on XL models. A driver's-side keypad entry system is available on Lariat models. Chromed steel wheels and 17-inch tires, previously available on 4x4 models only, are available on 4x2 models as well. New colors are Island Blue Clearcoat Metallic and Chestnut Clearcoat Metallic. Functions previously handled by the under-8500 GVW F-250 pickups now go to a new F-150 7700 payload group with all of the attributes of the F-250, including heavier frame, larger brakes, higher-capacity wheels and 8,800 pounds towing capability.